Every Year, come August, runways across the globe are flooded with summer fashion styles which will soon hit our shores as the days turn from winter to summer. But forget the trends, these come and go, what every Big and Tall man needs is a man-drobe he can depend on, stocked with basics which will ensure the foundation of classic and timeless style. It can be difficult to find clothing for big men which offer the kind of sophisticated style required by today’s busy professional, therefore, we have put together a list of items we deem necessary for the modern Big and Tall man’s wardrobe. In almost every James Bond movie ever made, the principle character is always at some point, wearing the hell out of a classic white business shirt. 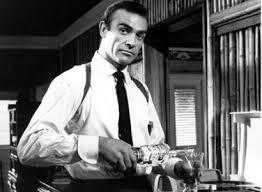 Be it done up to the collar, with a simple black tie for blackjack in Casino Royal, or casually pouring a drink for a Russian spy, there is no end to the uses this man-drobe basic will provide you. Worn to work with a pair of light cotton business pants, or on the weekend with your favourite worn chinos, this look is works best with confidence. Our choice is this Gloweave item crafted from 100 percent super fine cotton, which features a two piece fused collar for added comfort and crisp appearance. The top stitched tailored seams make for a more sleek appearance and add strength and flexibility. A simple, V-neck or crew neck sweater in a thin-ribbed, light or medium weight natural fibre will find its way into a regular rotation in any wardrobe. 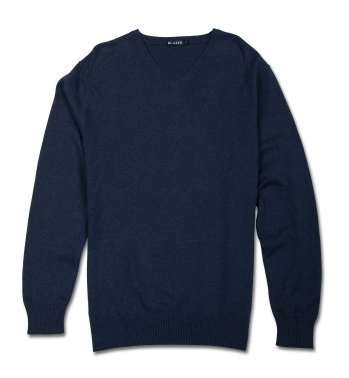 This classic navy V-neck sweater from Blazer will have you feeling warm and stylish throughout the cooler months. Made from soft, breathable 100% cotton fabric, this item is our pick due to it being versatile enough to be worn with virtually any ensemble. Wear it over a smart collared shirt to create a refined casual look. You cannot go wrong with an, even, dark rinse wash pair of jeans. Ron Bennett Big Men’s Clothing has a wide range of jeans for big and tall men from the very best brands. We personally recommend these R.M. Williams pair constructed in Australia from robust denim and specially designed for a rugged yet stylish man. Worn with almost everything, Jeans are the ultimate staple. While winter may be fading, Mother Nature is regrettably not a tame woman and has a nasty habit of throwing icy curve balls when you least expect it. Therefore, we maintain there is always room in any man-drobe for a good winter jacket. 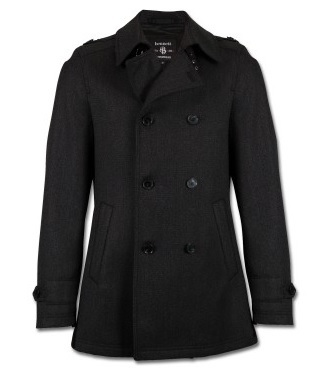 There are plenty of styles to choose from; double breasted, single breasted but we personally favour the classic black or dark grey double breasted peacoat. Designed with unique features and built to withstand the forces of nature while staying soft, warm and breathable, this charcoal Bennett jacket was made in Italy from a soft, delicate wool blend.